You’ve probably seen elephants, walruses, or warthogs either at a zoo or in nature documentaries but did you know that their tusks are actually teeth? Tusks are actually elongated, continuously growing front teeth. Many animals have them in pairs and you’ll see them protruding well beyond the mouth in many animals. In most animals, these tusks are actually elongated canine teeth but in elephants, they’re elongated incisors. It can be hard to believe that our teeth and these tusks are incredibly similar, especially with animals like the narwhal that have a gigantic single tusk that seems unicorn-esque due to its helical structure. 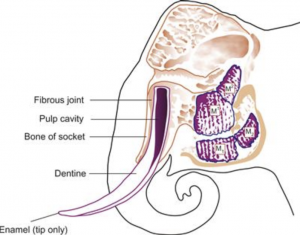 How do teeth become tusks? What happened to these specific animals to create tusks instead of just teeth? This story differs between different species so let’s look at elephants as an example. The elephants we know and love today have two very distinctive characteristics: tusks and teeth. Both of these came about in their ancestors about 20 million years ago. As you can see by watching videos of elephants, trunks are incredibly versatile and helpful, especially for an animal that is so large with such a short neck. If elephants didn’t have trunks, they would struggle to pick up food from the ground so they provide a profound evolutionary advantage. But what about their tusks? The core of a tooth, the pulp, holds the blood vessels and nerve fibers, while the bulk consists of a bone-like material called dentin. The outer coating of calcium phosphate enamel is the hardest substance in the body, which can prove to be a very strong and valuable tool to have at your disposal when lengthened into tusks. Tusks likely developed, like most things in evolution, as a beneficial mutation, possibly as a result of shifting skull shape/size. Because they’re made out of the hardest substance in the body, these tusks made animals who had them more successful than their tuskless peers. Tusks are the Swiss Army knife of the animal world. Boars and warthogs use theirs offensively and defensively, to battle one another during mating season and to slay predators many times their size. 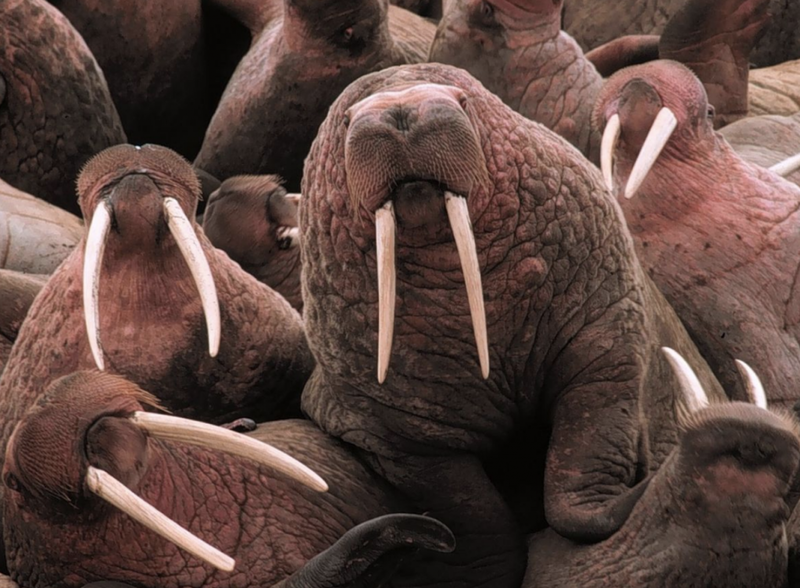 Walruses use their tusks like grappling hooks. They employ their tusks to haul themselves out of the water and onto the ice, as weapons against polar bears, and in mating competition. Narwhals remain a bit of a mystery with some researchers suggesting they use it to stun their fish prey while others suggest it is some sort of sensory organ for detecting changes in the water. Elephants are the ultimate masters of wielding their Swiss Army tusk. They use their large tusks to do a variety of things including digging for salts and minerals, breaking off branches to get to the foliage, prying into trees and peeling off the bark, and even scooping up a sleeping little one who is refusing to get up. They use their tusks along with their trunks and feet to de-thorn acacia trees and soften tough grasses and they stash leafy branches across their tusks for later consumption. Tusks are so important to elephants they have a favored tusk just like humans are either right- or left-handed. Most mammals are born with a set of “baby teeth” just like we are. These baby teeth eventually fall out and a full set of permanent teeth grow in. The permanent teeth that replace them are used for the remainder of their lives but elephants are different. Elephants go through a whopping six sets of 9lb teeth during their lifetimes, with new teeth growing in to replace old ones that have worn out. An elephant starts with two front teeth that fall out after about a year and are replaced by a set of ivory tusks. These tusks grow about 5 inches per year and eventually stick out of the elephant’s mouth under its upper lip. After the tusks grow in, the elephant grows a pair of teeth in the back of their mouth. These large, grinding molars are used to chew their food. As these teeth begin to wear out, they move forward towards the front of the elephant’s mouth. As they move forward, new molars come in at the back of their mouth sort of like an assembly line of teeth. Interestingly, there have always been tuskless elephants so tusks aren’t essential for survival. Left uncontacted by humans, about 3-4% of African Elephants are tuskless. As there has been an increase in poaching and ivory sales, there has been an increase in tusklessness. The tuskless population ranges from 9-25% of African Elephants according to a 1989 survey of Queen Elizabeth National Park. It seems that females are selecting mates that are either tuskless or have much smaller tusks than usual. 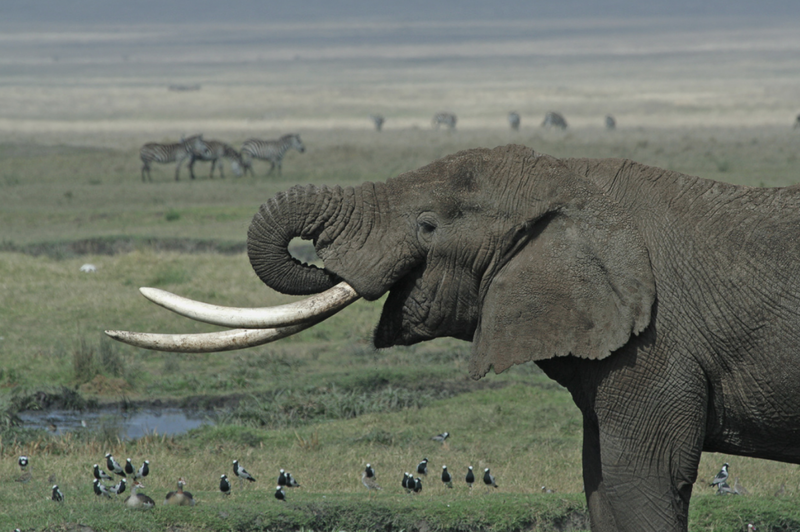 Tusks are very valuable tools but they are becoming less and less common in African elephants. This may mean that more of them will survive, but it also means that they’re losing access to this helpful tool.